There is some Tragic news comming over from the states about the death of well loved storm chaser and tornado researcher Tim Samaras, his son Paul and fellow chase partner Carl Young. 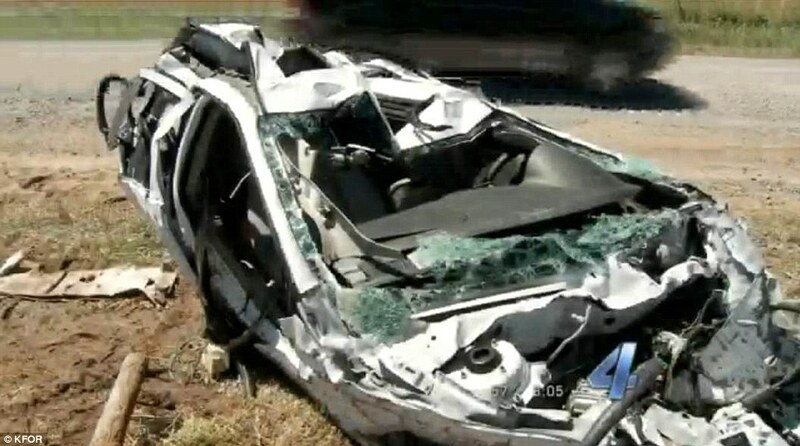 Tim Samaras Chase Vehicle after the storm. Tim Samaras was found still strapped into the passenger seat while the other two were pulled from the car and thrown 1/2 mile in each direction. At the intersection where authorities believe the men were killed, crews hauled away a mangled white truck that had been crushed like a tin can. The metal frame of their storm-chasing vehicle was twisted almost beyond recognition. “They all unfortunately passed away but doing what they loved,” Jim Samaras wrote in a statement posted on his brother’s Facebook page. Friday’s tornado took a sudden turn that surprised many observers, CNN meteorologist Chad Myers said. Tim Samaras founded TWISTEX, the Tactical Weather Instrumented Sampling in Tornadoes Experiment, to help learn more about tornadoes and increase lead time for warnings, according to the TWISTEX website. Samaras had received 18 grants from the National Geographic Society for his research, said Terry Garcia, the organization’s executive vice president of missions. Doug Kiesling, a fellow storm chaser, said the three men were bona fide researchers. The Pulse Radar animation from the National Weather Service of the El Reno, Oklahoma Tornado.